Welcome to Marble Works of San Diego, San Diego County's premier source for high-quality, affordable cultured stone and solid surface products since 1983. 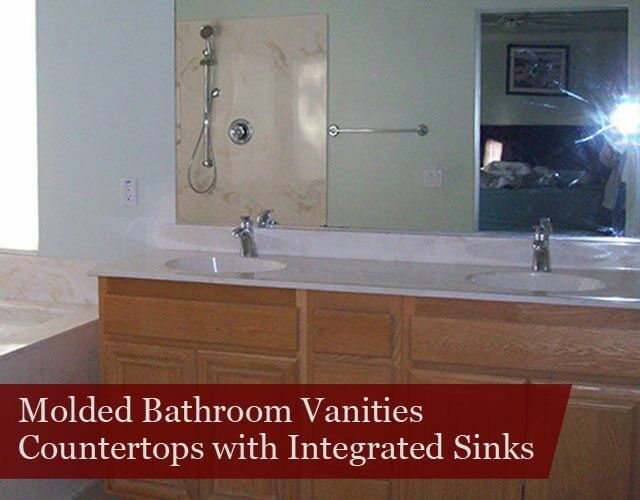 Our family-owned business specializes in the custom fabrication and installation of cultured onyx, cultured granite, cultured marble, and solid surface products for a wide range of kitchen and bathroom applications. In addition to fabrication and installation, we offer comprehensive demolition, haul-away, and clean-up services, as well as plumbing and appliance hook-ups at the time of installation. We even offer sanding and refinishing services to make your existing cultured stone and solid surfaces appear like-new. Our skilled team consists of talented designers and manufacturer-trained craftsmen who possess an average of 25-45 years of industry experience. With unbeatable prices, an A+ rating by the BBB, and over 6,000 satisfied clients, we are San Diego County's best choice when it comes to custom cultured stone and solid surfaces. At Marble Works of San Diego, our goal is to provide high-quality cultured stone and solid surface products that are long-lasting, easy to maintain, and custom-manufactured to fit your unique design and functionality specifications. We are authorized dealers and certified installers of leading manufacturers such as Corian, High Max, Living Stone, Tyvarian, Granatex, and LG-HI Macs. 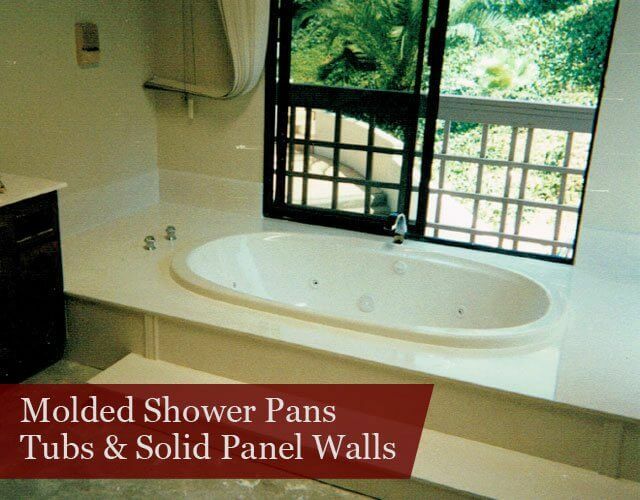 If you're looking to update the surfaces of your bathroom, we offer solid surface and cultured stone vanity tops, showers, wall panels, wet floors, backsplashes, sink basins, bathtubs, and more. 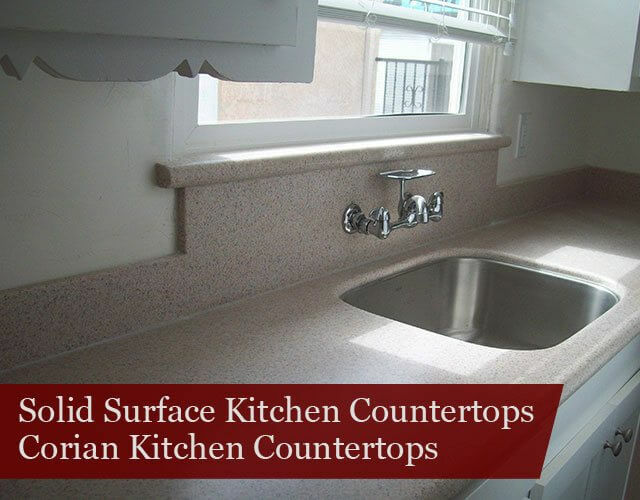 If you'd like to revitalize the frequently-used surfaces of your kitchen, our solid surface countertops and sinks will do just that, and come in every style from eclectic to traditional, shiny to texturized. 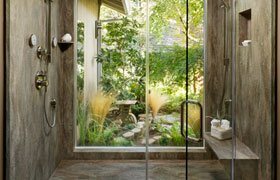 All cultured stone and solid surface products are resistant to mildew and mold; require no sealants and very little upkeep; are highly durable; and are nearly seamless. We are San Diego County's premier cultured stone and solid surface manufacturers because every job we do, from project planning to project completion, is tailored to our clients' complete satisfaction. Before we begin the manufacturing process, we'll visit your San Diego home or business to conduct a thorough, free assessment of your kitchen and/or bathroom remodel preferences. We bring samples of our work, and help you decide which edge details, fillers, colors, veins, and finishes will best fit the decor of your home or business. And, if you can't decide between a color from our 100+ pigment selection, you may bring us a sample so that our designer can create your custom color at a highly affordable rate. 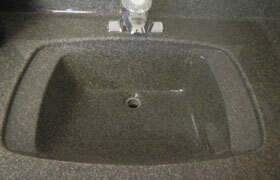 Within 24-36 hours, we'll provide a free estimate that covers everything from existing surface demolition to clean-up. Our installers are highly respectful, and take great care to leave you with nothing but gorgeous cultured stone and solid surfaces that beautify your San Diego property and last for years to come. 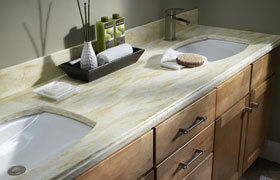 Contact the friendly, qualified staff of Marble Works of San Diego to schedule your free on-site estimate today. Our hours of operation are Monday through Fridays from 7:30 to 4:00 pm, as well as by appointment. We accept Visa, MasterCard, Discover, debit, cash, or check as forms of payment. 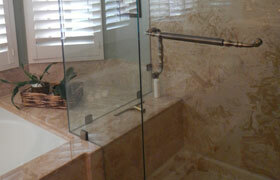 Marble Works of San Diego is fully licensed, bonded, and insured.